John Bennett | I.K International Publishing House Pvt. 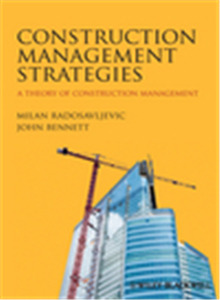 Ltd.
John Bennett, Professor in the University of Reading's Department of Construction Management & Engineering for 25 years following 20 years of successful practice in the UK and internationally, founding editor of the leading journal, Construction Management and Economics, and Director of the University's Centre for Strategic Studies in Construction throughout its 12 years of influential research and publishing. The hallmarks of his academic career are researching international best practice and describing the essential messages in clear practical terms. This has established his reputation as one of the founding fathers of the construction management discipline.